* Heavy-duty 18-gauge, 7/8" steel tubing. * Four spot weld points connect the 5/8" steel tube foot ring at each leg for durability. 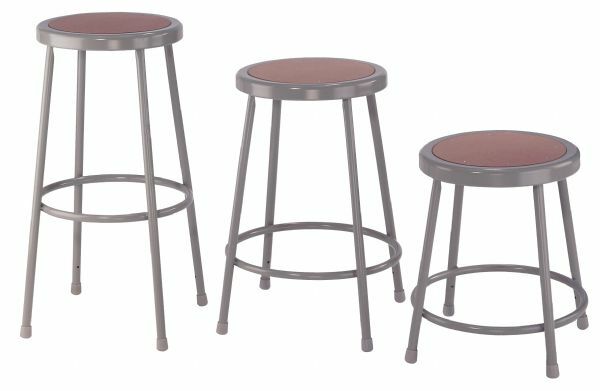 * Seat is a full 14" diameter with 11 1/2" diameter Masonite hardboard recessed into the pan with eight rivets and will not chip or crack. * Backrest on B and HB models measures 6"h x 12"w.
3.34" x 0" x 0"